You loved your college major. You worked hard to earn your degree. And now your day job doesn't fully use your education, engage your mind, or feed your soul. But there are still limitless opportunities to do intellectually serious work--work that will win you professional recognition, travel opportunities, and even publication in peer-reviewed journals. All you have to do is create your own academic opportunities, and Passion Projects for Smart People will show you exactly how to do it. The perfect career guide for the era of the Ph.D. barista, the underpaid adjunct, and the gig economy, Passion Projects for Smart People will help you take charge of your career and your life. Written by a high school science teacher who has done field work on five continents, published in professional journals, and worked with NASA, Passion Projects for Smart People details how to turn side projects into career-development opportunities. 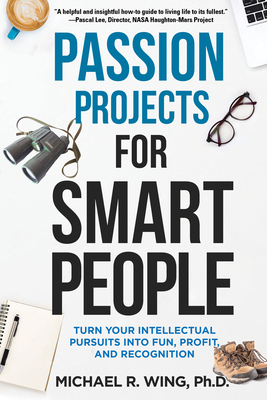 Passion Projects for Smart People shows you how to develop your own research and creative projects; form collaborations with universities and public agencies; apply for grants and professional experience opportunities; travel around the world for free; and develop your career as a teacher and mentor.